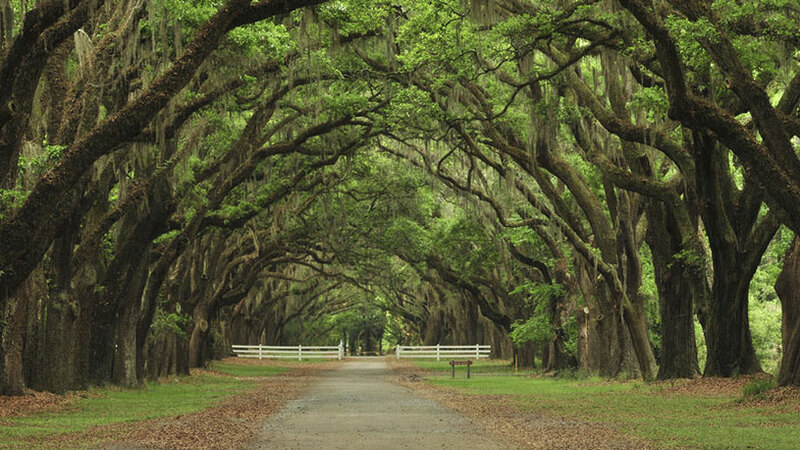 Make some memories with some of the unique things to do in Savannah, Georgia that you won’t find anywhere else! Our city is packed with history, close to the coast, and one of the culinary capitals of the South. 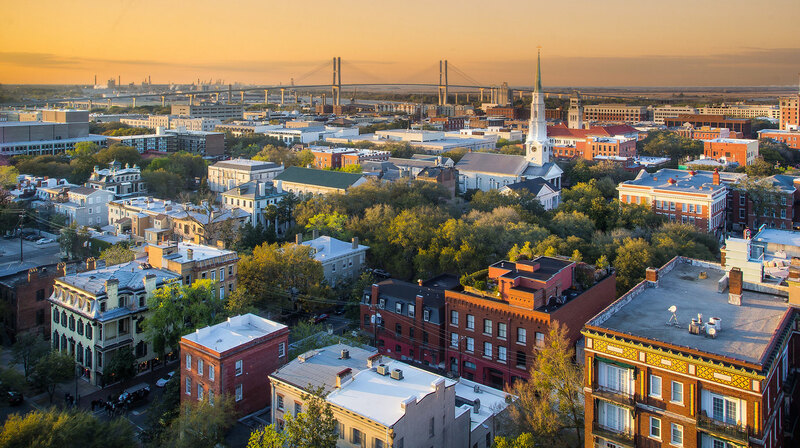 To see the sights, we offer a free shuttle into downtown Savannah, where you’ll be able to easily walk around and see all the city has to offer. Bring your walking shoes! 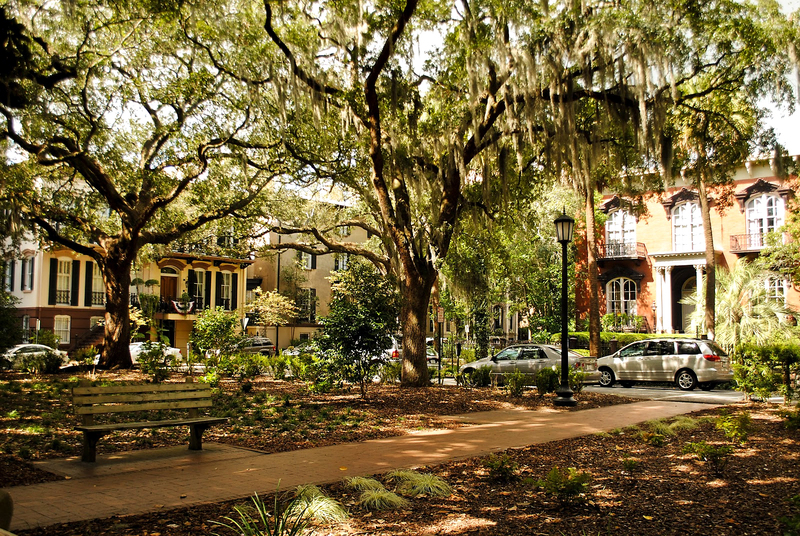 Savannah’s ornate buildings and unique public parks are all open to the public, free, and a memorable way to spend the afternoon. Head over Forsyth Park, the most popular of the many squares in the city. At the heart of the park is a grand fountain, surrounded by swaying green oak trees. Traveling as a family and looking for things to do in Savannah GA with kids? The city is bustling with entertainment for the whole family. Hopping on and off Old Town Trolley Tours lets you discover the city at your own pace, all while learning about the city from an expert tour guide! Your family can learn about history first hand at Fort Pulaski National Monument, a Civil War fort with moats, drawbridges, ramparts, and more. Or you can see history come to life, at Piracy and Privateers Tour with Black Betty, a guided adventure through the Historic District that will teach you all about Savannah’s pirate history! For a culture trip, head to the Jepson Center and admire some contemporary art. Or, if you’re in town on the first Friday of the month, join the locals at Art March. Throughout Savannah’s historic streets and beautiful scenery is a happening modern food scene. After our complimentary breakfast, head to downtown Savannah to enjoy some of our famous Lowcountry cuisine, as well as Southern classics, trendy dishes, drinks, coffee, and more. For high-quality, classic barbecue visit B’s Cracklin’ BBQ in Southside Savannah. For classic fried chicken, head to Mrs. Wilkes, for lunch only. If you’re looking for a drink, Moon River Brewing Company is a German-style brewery, or Service Brewing Co., also by the water. For a truly Instagram-worthy meal, The Grey offers fine-dining in a Greyhound bus depot renovated and refurbished with style. 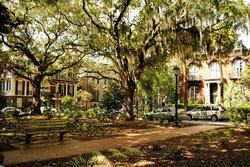 Book your stay today to see all of the wonderful things to do in Savannah, Georgia for yourself!